Russia deployed Iskander rockets, which are capable of carrying a nuclear payload, in Kaliningrad Oblast on Monday and intend to keep them deployed there permanently. After Lithuanian President Dalia Grybauskaitė's dramatic announcement of it, mockery along the lines of "we did it, so what?" arrived from the Russia parliament. This reaction by the Russian State Duma Committee of Defence head Vladimir Shamanov is perhaps the best reflection of the Kremlin's view of the security situation in the region: Russia supposedly has no other way than to react to the aggressive actions of the West. And after a few demonstrations Russia "reacts" – "and what are you to do?" "I observe the technique of swapping cause and effect in Russia with increasing frequency. Russian military capacities are appearing as a consequence of NATO forces appearing. With Russia as if responding to Alliance actions. This way you show your audience that the "besieged fortress", supposedly Russia's actions are defensive, reactive and strengthening security," Vilnius University Institute of International Relations and Political Science lecturer Nerijus Maliukevičius evaluated. Talks of the deployment of short range Iskander-M rockets in Kaliningrad have been linked with first US and now NATO "military infrastructure creation next to the Russian border." It is not coincidence that when asked whether Russia's neighbours should fear the deployment of Iskander, V. Shamanov responded no less eloquently: "They must fear everything because the deployment of foreign infrastructure automatically enters the primary list of destructive strikes." The Kremlin constantly emphasises that the deployment of multi-national NATO battalions in the Baltics and Poland is a threat to Russian national security and a response must be made to it. It matters not that the NATO battalions were deployed after Russian military aggression against Ukraine in 2014 and in reaction to increasingly frequent unexpected Russian military exercises on the border. Nevertheless Lithuanian officials were forced to speak up about Iskander once again by one unique factor. After demonstratively making temporary transfers of Iskander and then returning them over the past 7 years, Russia is now claiming that the entire necessary infrastructure has been installed and the rockets will stay. Everything proceeded as per plan. The Kremlin is not lying regarding the last claim: plans to rearm the 152nd rocket brigade in Kaliningrad with Iskander were announced by Russia some 3 years ago. Furthermore, Iskander will not simply appear on an open field, as if nothing was there before. In late November last year, Russian President Vladimir Putin greeted the head of the 152nd brigade, Col. Anatoly Gorodecky. The latter's detachment was declared ready for action – the troops and officers have already been trained in handling the new equipment, combat firing drills were held in the Kapustin Yaro training range. The 152nd rocket brigade should be one of ten who armament was augmented by Iskander systems. Furthermore, at the end of 2016, the publication Komersant wrote about large scale construction works at the Cherniachovsk military base – new hangars were built, old ones were expanded, adapted for systems larger than Tochka-U – Iskander. In satellite imagery from last year, we can see 8 new and modern light hangars, typical for new Iskander detachments. Currently the 152nd brigade deployed in the city of Cherniachovsk some 60km away from the Lithuanian border are equipped with the shorter-range ballistic rockets Tochka-U. These can also carry both conventional and nuclear payloads and the rocket itself has a range of 120km. Nevertheless Iskander-M rockets are more modern, harder to detect by radar, they are harder to shoot down because they fly almost like winger rockets, not in a ballistic-arc trajectory. It takes only a few minutes to prepare Iskander to fire a nuclear payload, especially if the warheads do not need to be brought in from the depths of Russia because they are under guard right in Kaliningrad, in the Kolosovka vault near Chkalovsk military base. Furthermore during the Zapad exercises Russia exercised a nuclear strike namely by launching short range ballistic or winged rockets – in the case of war it doesn't even have to be V. Putin who authorises such strikes, but just the Western military district head. Iskander-M can take a payload some 500km. The winged rocket version Iskander-K, whose creation and testing breached the Intermediate-Range Nuclear Forces Treaty with the USA can hit targets 2 or even 5 thousand kilometres away. Same as Tochka-U, Iskander can carry nuclear payloads op to 80 kilotons. Systems for one brigade are formed from 12 launch vehicles and several tens of transport vehicles. "These rockets can carry an entire 10 different warheads," the man behind the creation of Iskander Valery Kashin boasted to the Russian Ministry of Defence funded channel TV Zvezda and immediately presented a vivid comparison which hunters can appreciate – "Iskander, just like any other good weapon, allows hunters to select their ammunition of choice. In a duck hunt you use one ammunition, in a bear hunt – something else altogether." Nevertheless, if the deployment of Iskander, even knowing the systems' capacities, has long ceased to be news, then why are Russian neighbours reacting so sensitively to it? After all, it should matter little to Lithuania, where Iskander is deployed – in Kaliningrad or next to the Latvian-Belarussian border – Iskander's range covers all of Lithuania anyway. "It is right now, this midday, today that Iskander rockets are deployed in Kaliningrad. This is a threat to not only Lithuania, but also half of European states," D. Grybauskaitė told journalists in Rukla on Monday. This statement by the Lithuanian president, according to political scientist Tomas Janeliūnas, was not just a dramatic action. Furthermore, it can have several parts. "Firstly it was an opportunity used to speak impromptu. The pretext was employed well to once again remind NATO, just how hot our region is and how we need allied troops and that just one battalion is not enough, we also need very serious air defence," T. Janeliūnas said. In his opinion, Lithuania reacted correctly, reminding the West of what sort of neighbour lies next to it. 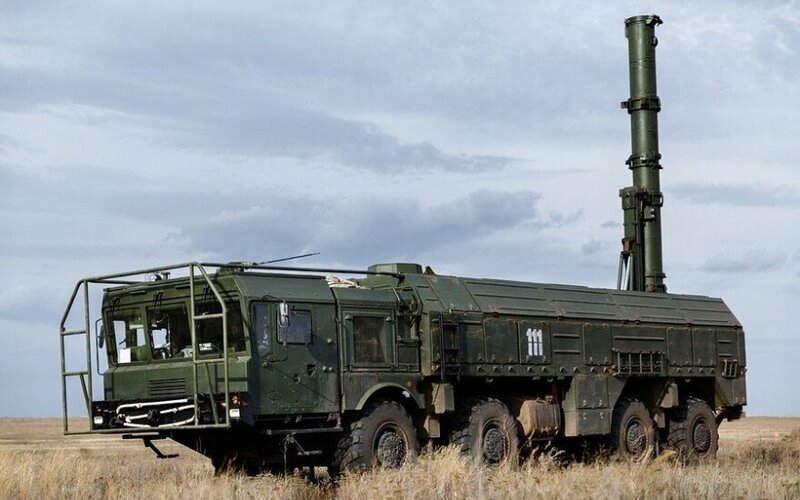 As if to confirm the political scientist's words, on Tuesday the president's chief advisor for domestic policy Mindaugas Lingė stated that the deployment of Iskander rocket systems in Kaliningrad on Monday shows that Russia is no longer withdrawing and we should hold no illusions. "The deployment revealed that there are no premises for the security situation to improve. We can see the threats, we clearly monitor them, they are viewed seriously, but at the same time – rationally. Our every day, without a doubt, remains as information, cyber-attacks, political and economic pressure. These are phenomena which are certainly not new, they are well known," M. Lingė said. NATO Deputy General Secretary Rose Gottemoeller who was visiting Rukla did not confirm that the deployment of Iskander will be permanent, however she stressed that the Alliance is concerned regarding the appearance of such serious, destabilising and most importantly – dual purpose, conventional and nuclear, weaponry. "I would like to emphasise that NATO sees everything, thus it is important to maintain the attention, have deterrence and defensive capacities in the region," R. Gottenmoeller told Delfi. T. Janeliūnas believes that by deploying Iskander, Russia is also playing another strategic game. 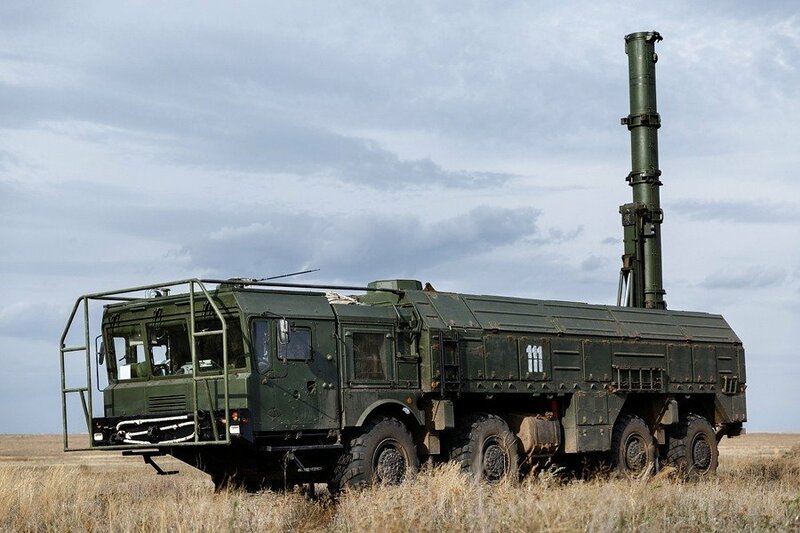 Namely because while Iskander capacities exceed Tochka-U, the transfer of this offensive armament is a psychological blow in the background of the information war. Information war expert N. Maliukevičius also does not hide that waving around Iskander is for more than traditional military purposes. "It is a cause for constant insecurity. Any talks about it raise waves. Russian information war strategy often communicates the topics of weaponry presence, transfer. This reminds of Soviet strategies of reflexive control when was talk of what military communication can be used to achieve certain goals. It would appear that the old topics are returning, a discussion is ongoing again. Intimidation can not only cause concern for the Germans, but also irk the part of the public and politicians who "do not wish to antagonise Russia." Then the search for dialogue, appeasement can begin," N. Maliukevičius said. As such, Iskander can also be employed as a psychological weapon, rather than just a direct one. "It can likely be claimed that Iskander as a topic, rather than means of physical threat, are primarily aimed not at concrete physical objects, but people's minds instead," T. Janeliūnas agreed. For example already in November 2014 the former head of the Russian general headquarters Yuri Balujevski stated unambiguously that is will be specifically Iskander which will allow Russia to reach important goals. "Polish, Romanian, Baltic States' leaders forgot that Iskander will be aimed at their cities," Y. Balujevski intimidated back then. It just so happens that already last April the same Balujevski admitted that for Russia, as never before, the information warfront is more important. "A struggle is ongoing for people's collective consciousness. A victory in such a struggle can be far more important than in a classical confrontation because such a war proceeds without bloodshed," the former head of the Russian armed forces outlined the logic behind the intimidation campaign. As such, according to N. Maliukevičius, when talking about the old-new Iskander threat, Lithuania can diverge somewhat from the threat narratives, show no fear and publically talk about response measures. The expert reminded that just some two years ago even the perceived pro-Russian German Minister of Foreign Affairs Sigmar Gabriel stressed that the permanent deployment of Iskander in Kaliningrad will "cause concern for Berlin and will hamper effort to ensure security in Europe." According to the analyst who researches information wars, this means that it is important to continue responding responsibly at new escalations related to Iskander. Is it worth being surprised again and speak about the same or should we after all think and communicate what we and our allies need, how to strengthen security, how to eliminate risks. We must talk about measures which would reduce the threat and would ensure security," N. Maliukevičius said. Minister of National Defence Raimundas Karoblis has already admitted that we should now consider how to respond to the permanent deployment of Iskander if the need to neutralise this threat arose. According to N. Maliukevičius, it is not necessary to discuss all the details of this strategy; however resilience must be encouraged in the public because people must separate real threats from made up ones. Thus if the Russians wish to intimidate, it would be best to not fear Iskander and calmly know while seeking allied support that even this real Russian threat can be dealt with by NATO. "Not talking and ignoring the Iskander topic would be a mistake because it can create a feeling of insecurity on the political level. When your opponent talks about offensive capacities at the border and you wilfully ignore it, it could be a fateful strategy. The public will finally ask – why are you not responding?" the analyst mused. US missiles “Patriot” in Lithuania: why Vilnius was happy and Kremlin furious?